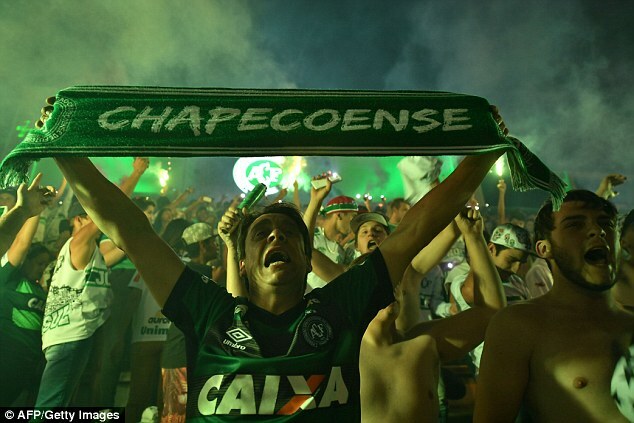 Chapecoense goalkeeper Nivaldo has announced his retirement from football a day after the plane crash that killed the majority of his team-mates. Nivaldo did not travel with his team for the first leg of the Copa Sudamericana final against Atletico Nacional. During their flight to Medellin, the plane carrying the team crashed in Colombia, killing 71 of the passengers on board. 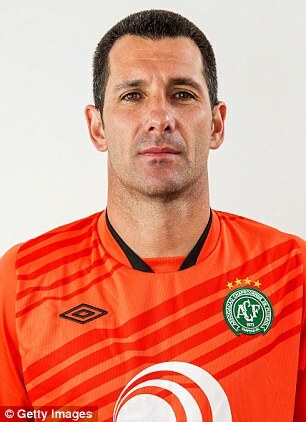 The goalkeeper missed the trip as he was set to make his 300th appearance for Chapecoense against Atletico Mineiro at the weekend, having also missed Sunday’s defeat against Palmeiras in order to make the landmark appearance at home. The 42-year-old has since announced that he will not play another game of football. 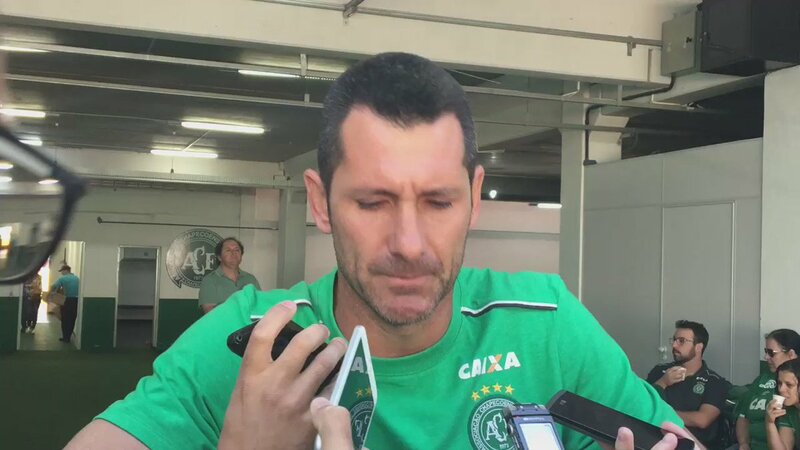 ‘I was supposed to go on the trip but ended up staying,’ Nivaldo told Globoesporte. ‘Everything has a reason in life. 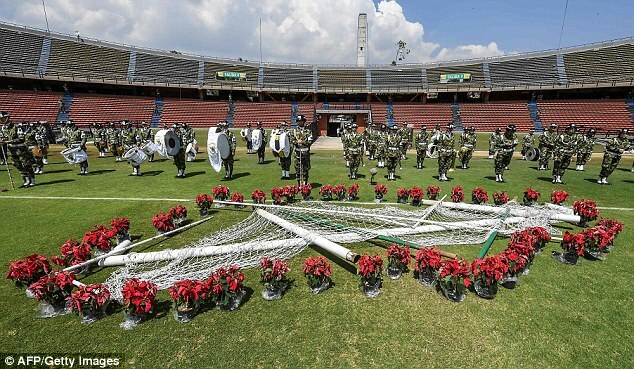 I didn’t travel to Palmeiras because it would make my farewell game to play here against Atletico Mineiro, when I would complete 300 games for the club. ‘As there was a change in the trip, they would not return to Chapeco and instead go straight from Sao Paulo to Medellin. 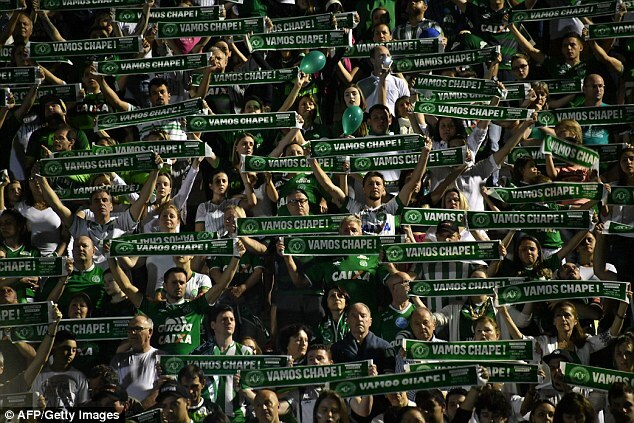 Chapecoense are planning to hold a tribute to all of the victims of the crash at the Conda Arena stadium in Chapeco. Reports in Brazilian and Colombian newspapers have suggested that the plane might have run out of fuel.